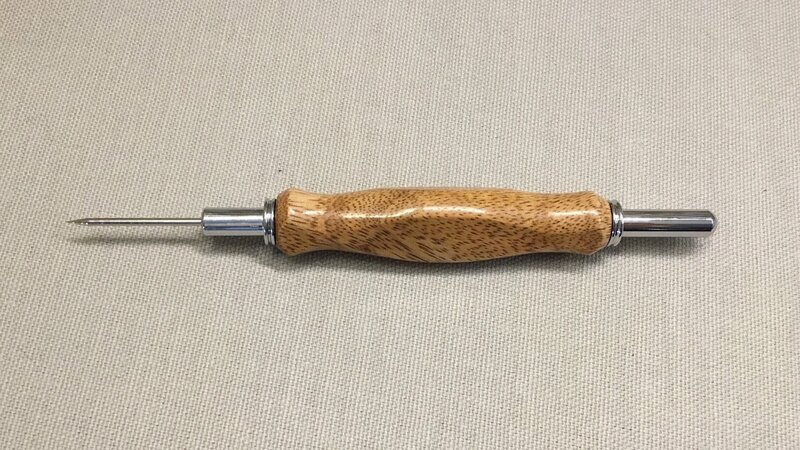 The flat-sided, handmade from quality wood stiletto/seam ripper is a new and unique item. This high quality combination stiletto and seam ripper is extremely versatile. Made from the wood of the Mango tree, each item has its own unique characteristics based on the wood piece it is made out of. The flat sides are a HUGE benefit; keeping it from rolling off your table. It will be exactly where you left it! Poole's Preference: This is my ULTIMATE favorite tool! The seam ripper side is self-explanatory. The stiletto side allows me to easily lay out paper pieces for sorting, tuck under applique flags, and it makes removing EPP papers SO much easier. The biggest benefit is that it has FLAT SIDES so it won't roll off your work area! I could not see myself without this tool now. It will be as invaluable to you as it is to me.